The table below contains the list of overall stats between the two protagonists in the 2015 PBA Commissioner's Cup Finals, the Talk 'N Text Tropang Texters and the Rain or Shine Elasto Painters. Please refer to the list below for more details. Seeing the overall stats, Talk 'N Text leads it all, no wonder why coach Yeng Guiao said that whoever they faces in the FINALS (either TNT or Purefoods), they are still the underdog. All I can say is that Rain or Shine won games by balance scoring while Talk 'N Text won games because of the hot shooting of Jayson Castro. Well, it is too early to guess but I think this FINALS will be very interesting because Rain or Shine wants a revenge for their sorry 4-0 lost against Talk 'N Text in the FINALS of the 2012-2013 PBA Philippine Cup. 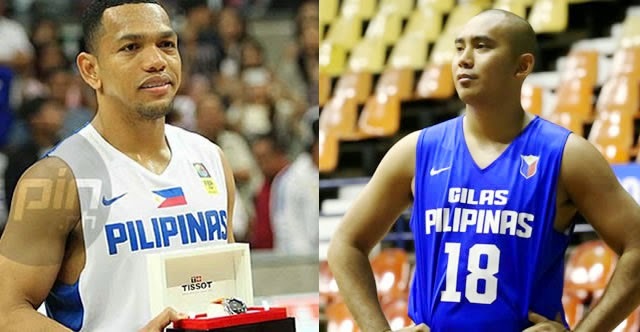 This battle is also the battle for the 2 leading point guards in the PBA today, Paul Lee and Jayson Castro. These two are both the main candidates for the Best Player of the Conference award. Who do you think will win this Best-of-7 series, Rain or Shine Elasto Painters or the Talk 'N Text Tropang Texters? The Game 1 will start this coming Wednesday, 7:00 PM @ the Mall of Asia Arena. You can watch it live in TV5 channel, or via live streaming at sports5.ph. San ka? Kampihan na!